Decades of experience create the foundation for our advice. Let us help map your road ahead. Our unbiased analysis can confirm a proper portfolio or identify what ails your assets. Don’t wait and wonder. Personalized portfolios utilize low-cost funds and dividend growth stocks for potential growth and inflation hedging income. There is more to retirement than dollars and cents. Who will you be? What will you do? Explore this new experience. We eliminate compensation conflicts by avoiding commissioned sales. Discover the difference. 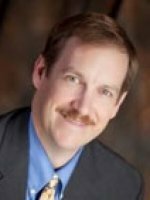 D. Drummond Osborn, CFP®, CTFA president of OSBORN Wealth Management, began his passion for the world of investing at age 12 after reading Benjamin Graham’s The Intelligent Investor, and continues to be fueled, daily, through his own advisory firm. Retirement planning is much more than dollar signs and financial charts. Naked Retirement explores the robust realities of a post-paycheck life, purpose, and identity. 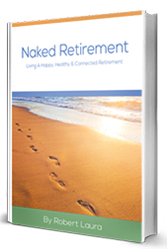 Filled with commentary, worksheets and guides, this book helps create a one-page, inspirational Naked Retirement Plan, so you can achieve the best of what's next. SYNERGOS Financial Services d/b/a OSBORN Wealth Management is a Registered Investment Advisor currently registered in the states of Indiana and Michigan. The firm provides fee-only portfolio management and advisory services, and is not associated with any banks or broker-dealers. For more information, please view our current ADV filing. Copyright © 2019 OSBORN Wealth Management. All rights reserved.